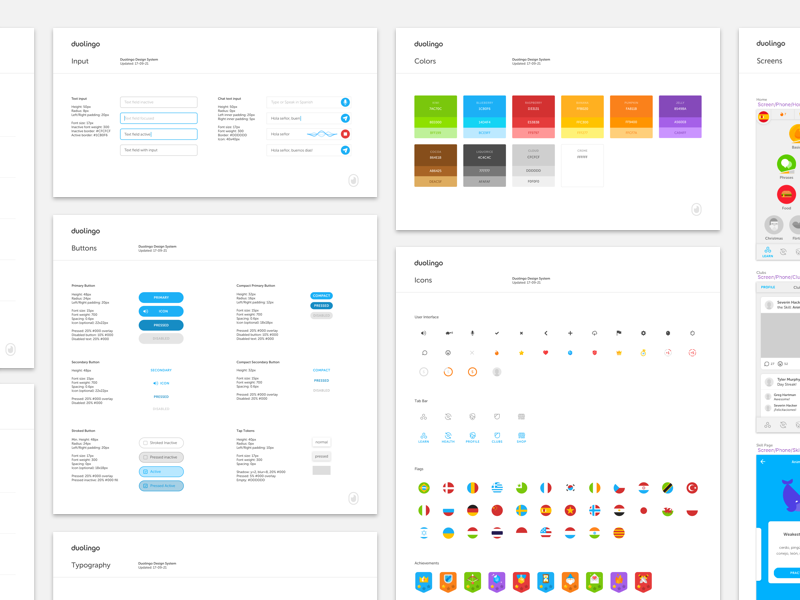 Last week, we launched v1.0 of the Duolingo Design System (DDS) internally. The DDS is a shared library for Duolingo’s visual language, containing every color value, button, icon, input field etc. that we use in our products. The DDS is shared with every member of the Design Team at Duolingo, and utilizes the new functionality in Sketch 47 (beta) to make every element of our design system available in any new Sketch document, simply by going to Insert > Symbol.